This is the ultimate backpack! They feature a padded back and a padded pocket inside, so your back and your laptop will be comfortable. 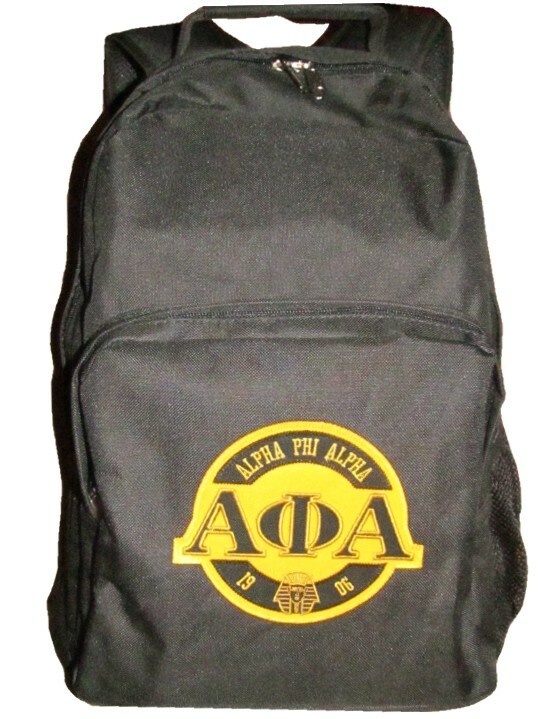 Each has a stitched twill 'patch' on the front specific to your organization. They measure 18" tall x 12" wide x 10" deep and have plenty of space to carry your other 'backpack stuff'. The front pocket has a little organizer and offers an extra inch of space to cram full of goodies. All, this and they also have padded straps and handle, AND a mesh side pocket perfect for that bottled drink. Whew! * All Bags are black with color patches.